The Soft Touch Gardening Glove is a truly innovative glove which offers an extremely close fit allied to incredible durability and unmatchable dexterity. 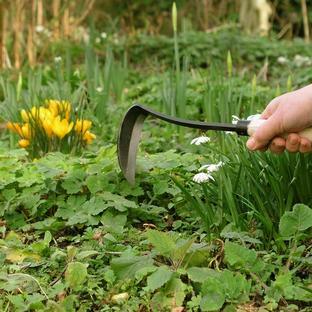 Endorsed by the Royal Horticultural Society. Gold Leaf Soft Touch garden gloves use deergrain leather, so they stay soft even after getting wet. 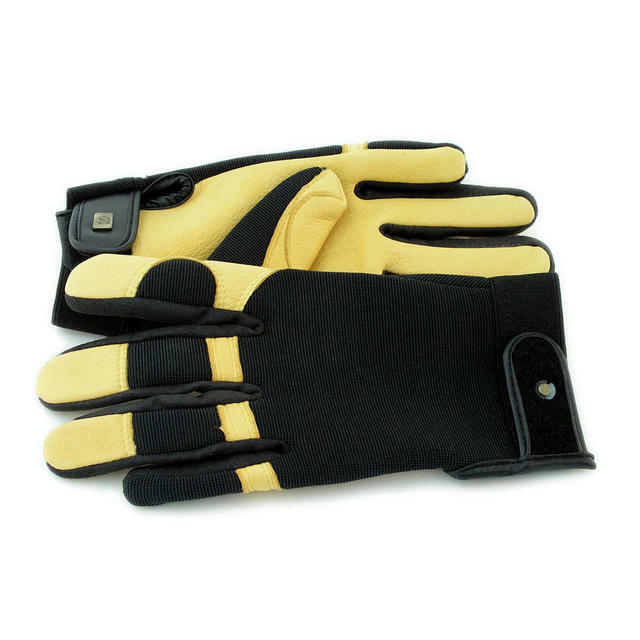 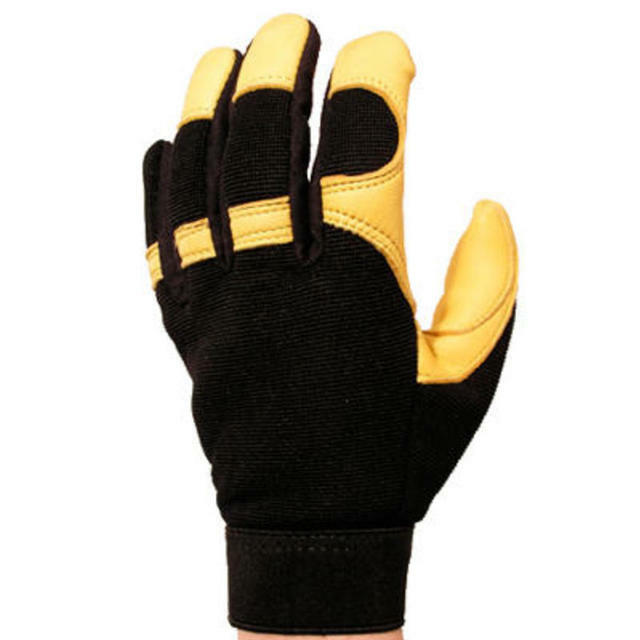 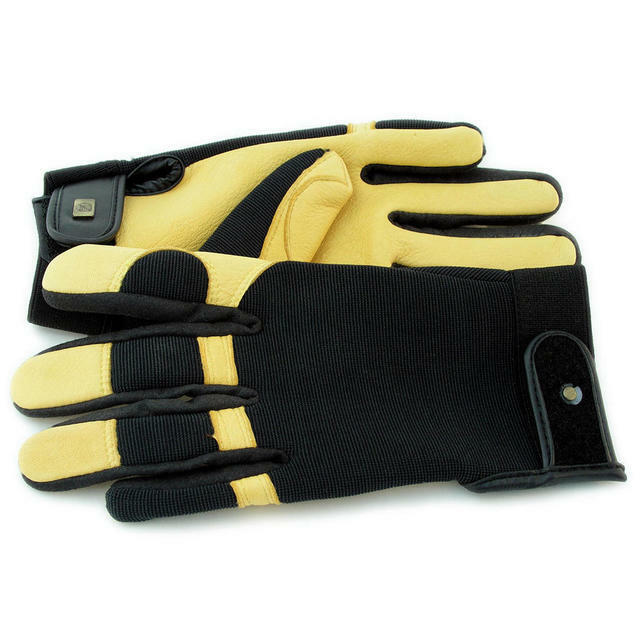 Snug fitting with lycra backing to aid dexterity and grip, they are our favourite all round gardening gloves, and we use them all of the time. Hard wearing, and maintains shape. 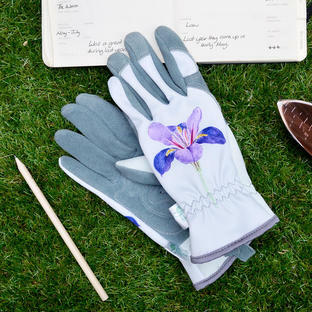 Endorsed by the Royal Horticultural Society (RHS), the Soft Touch Gardening Glove is a truly innovative glove, offering an extremely close fit allied to incredible durability, and unrivalled dexterity. 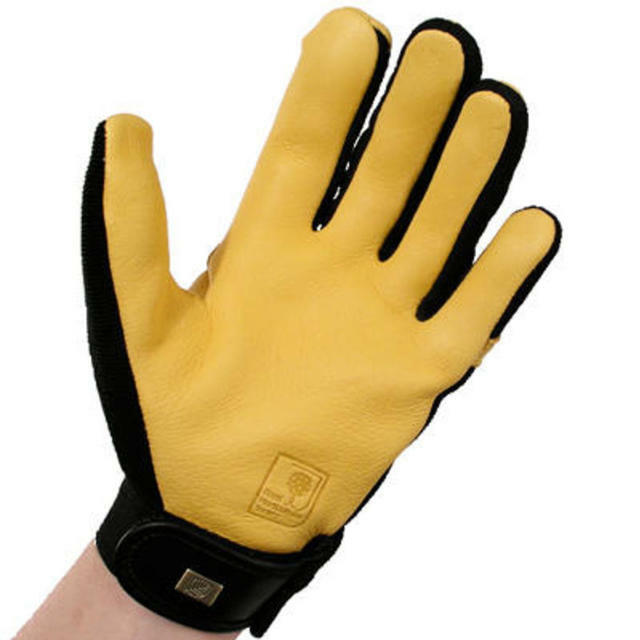 The palm of this glove is constructed of very high quality grain leather, which is characterised by its softness and suppleness, whilst remaining highly durable. 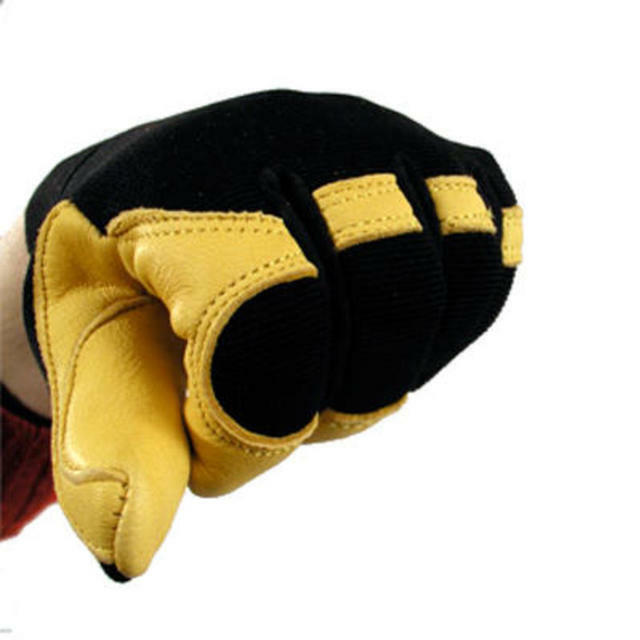 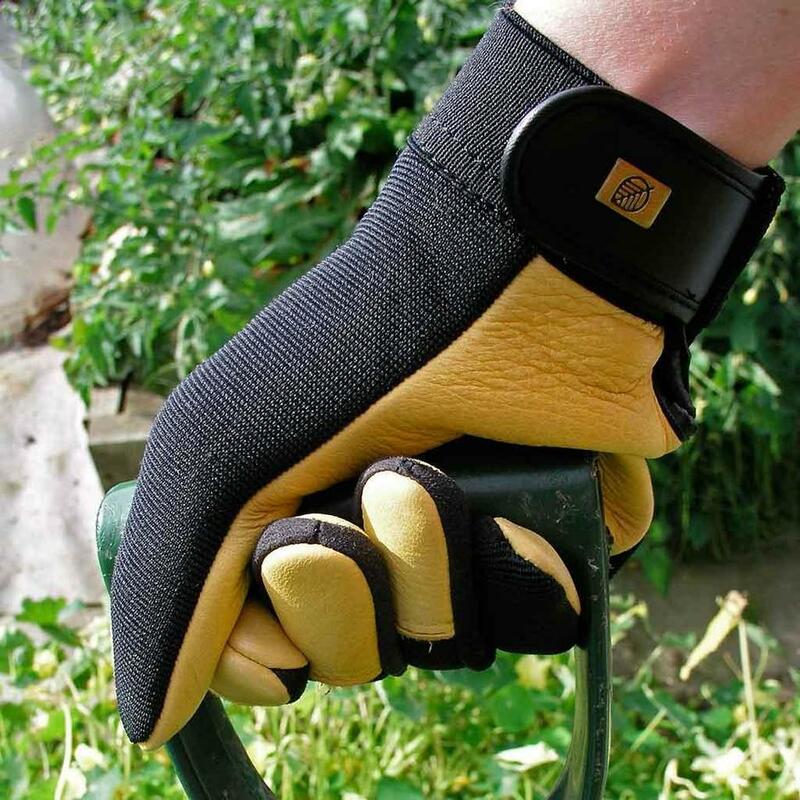 The back of the glove is made from Lycra, nylon and foam which, together with the Velcro fastening, afford the close, tight fit which helps differentiate this from other Gardening Gloves. 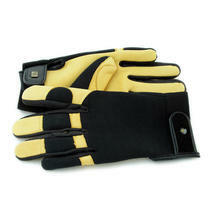 The emphasis is very much on fit and feel. 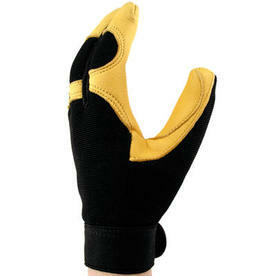 They will suit those in search of a robust, comfortable, multi-purpose and stylish gardening glove. Leather palm with Lycra back and velcro fastening at the wrist. 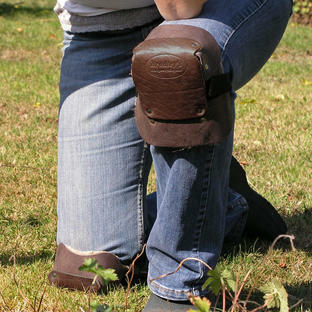 Although only available in two sizes the leather can stretch by up to 25% and is deliberately a tight fit.